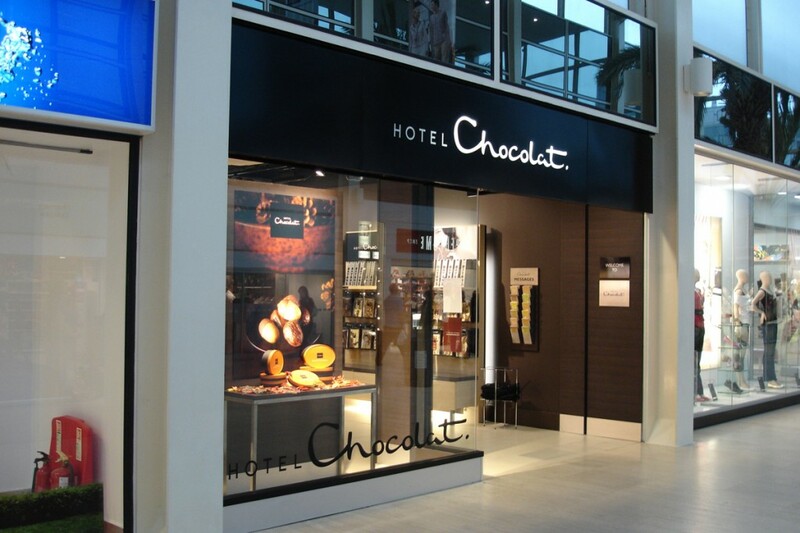 into were assigned to design and supply lighting for Hotel Chocolat when the company first ventured into the world of retail from online supply. It was important that lighting evoke the desired branding – high-end and luxurious. Heat onto the chocolate was a real challenge with the lighting design. To navigate this and as a means of creating a luxury setting for the brand, acute light detailing was designed for shelving edges and product displays across the stores. 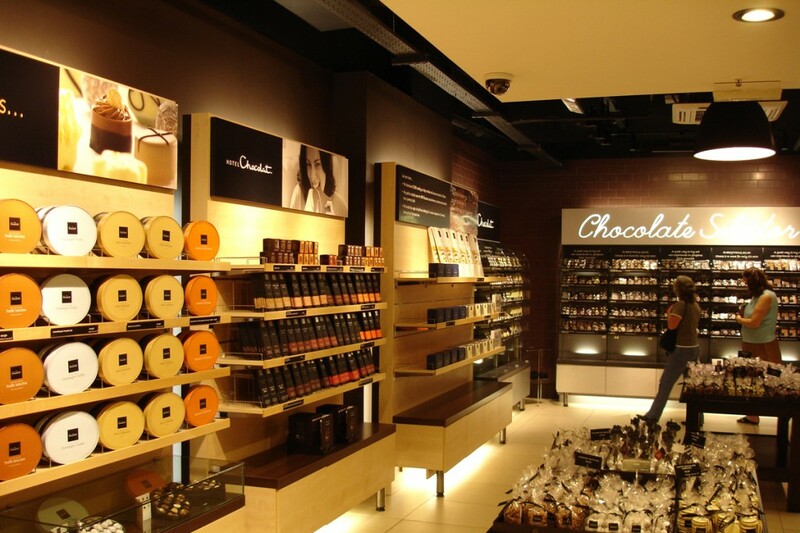 LED lighting was used in certain settings, with the store in Copenhagen being a 100% LED scheme. 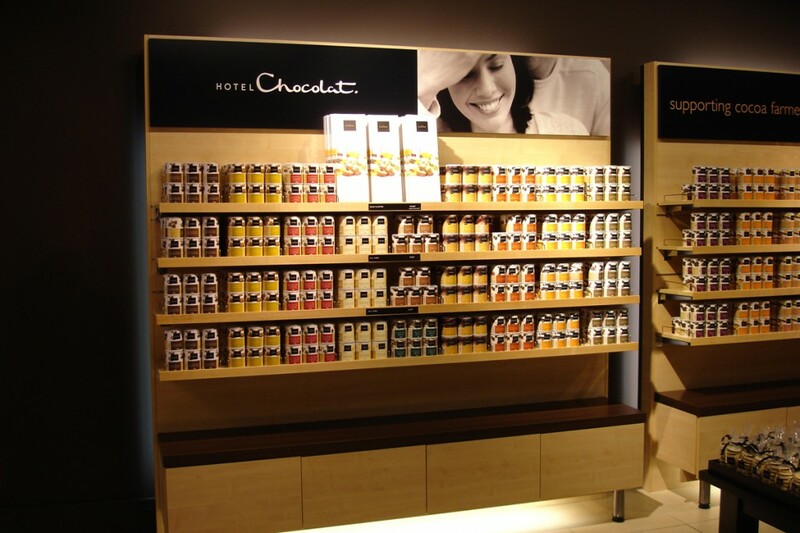 into worked alongside Terry Moore Design to create a brand for Hotel Chocolat that is exclusive. 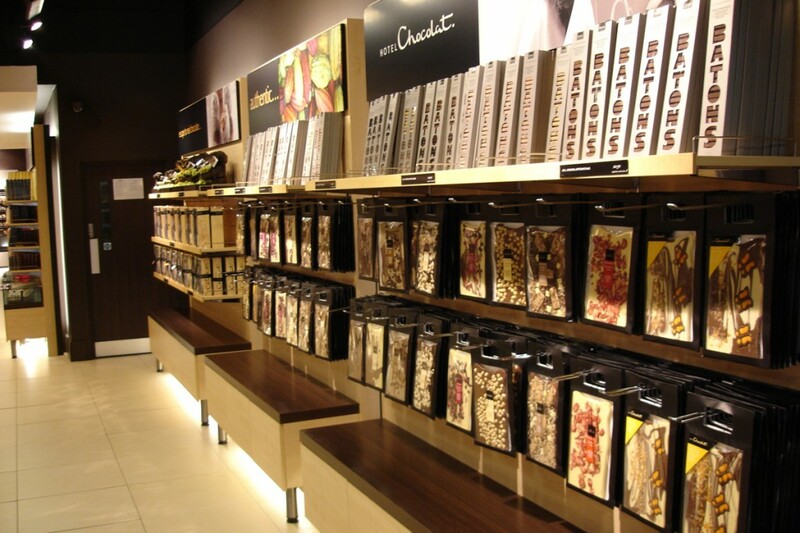 Each store with lighting designed by into involves particular detailing and often LED sources.